The Parallel OperatiOn and Control Heuristic application simplifies cluster creation and control using the Macintosh operating system. 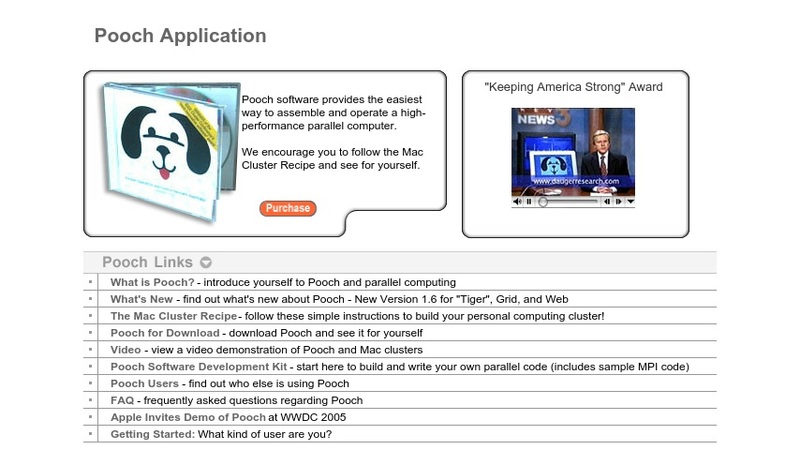 Includes scheduling tools and a Mac implementation of MPI. Pro version supports extra control over multiple user systems.